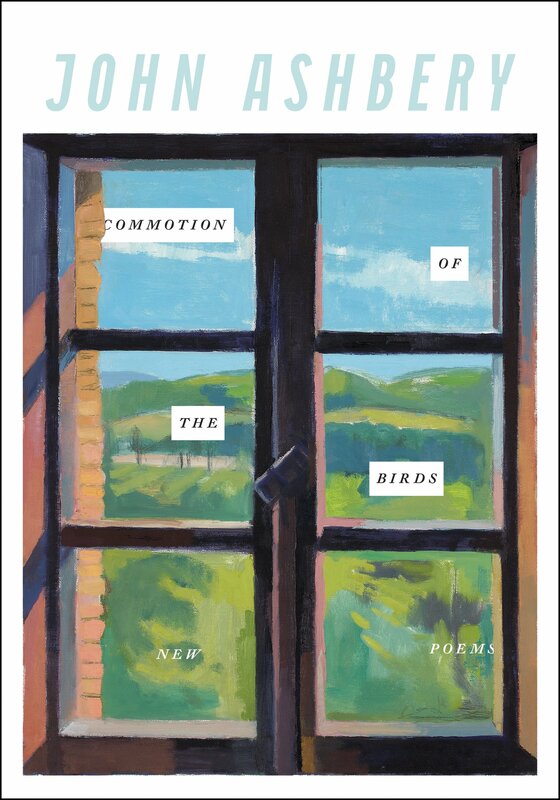 In Commotion of the Birds, John Ashbery’s twenty-seventh book of poetry, puzzling poems read like textual collages: meticulously arranged words and phrases torn and reassembled into abstraction. They’re enigmatic, but far from anything Dadaist: although wildly difficult to decipher, these works possess a distinct element of control and an impressive tonal palette. While some poems may read like delightful strings of nonsense, Ashbery’s lines consistently scramble into a warning knell. A message rings out through the static: be weary of the inevitabilities of aging, be weary of our political developments, trust the past and hope the future will turn out better than it seems. Poems like “Rainbow Laundry” are beautiful but confounding: “At Opium Bridge / an apple with orange signature. // No but a cat came in, / rushing around as though its life depended on it // and lets you deal with / all of that. // Just remember the Red River Valley, that’s / all I ask, // the color sergeant said.” Although it would likely take an Ashbery expert to figure out what’s going on here, one could look to other poems for clues. new body, and an assistant. I’ll bet the place is swarming with printers. squeamishness is best, yet still. This somewhat cogent glimmer informs the poems throughout Commotion of the Birds: the desire for a new body in a world that appears to be swarming with technology suggests an “out with old” sentiment that surely stings to the 90-year old poet. But what about the world we’re rushing into?